The Story Behind The Design - "Give Clap A Chance"
I know this probably isn't the typical sort of post that most people would want to see from me, but I'm taking the time to make something out of it - content-wise - anyway, because I spent some time on it and I'm proud of the way it came out. So, I'd been thinking about creating a line of designs for shirts and other products for some print-on-demand shops out there. Many ideas are on the docket, but I was able to get this one done and out pretty quickly yesterday. 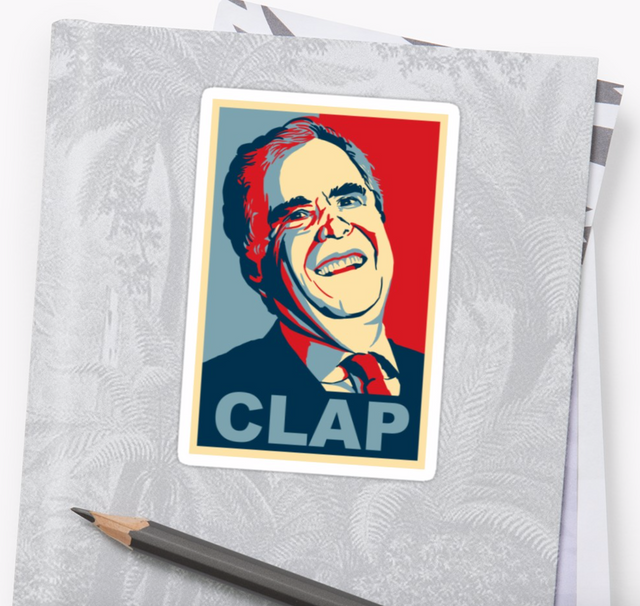 I call this design "Give Clap A Chance" because it's a combination of the Jeb! 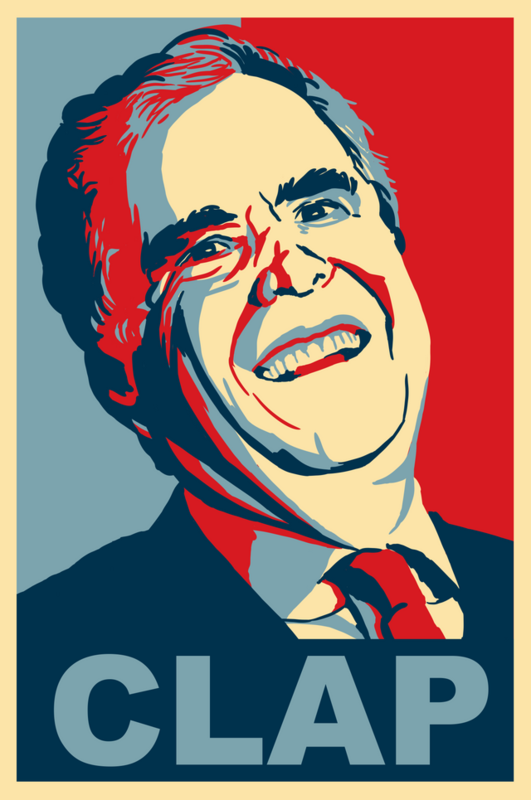 meme, "Please Clap", and the Obama campaign poster "Give Hope A Chance". Most everyone has seen the poster, which is a pop-art depiction of a famous picture of Barak Obama with the words HOPE, made by the street artists Shepard Fairey. 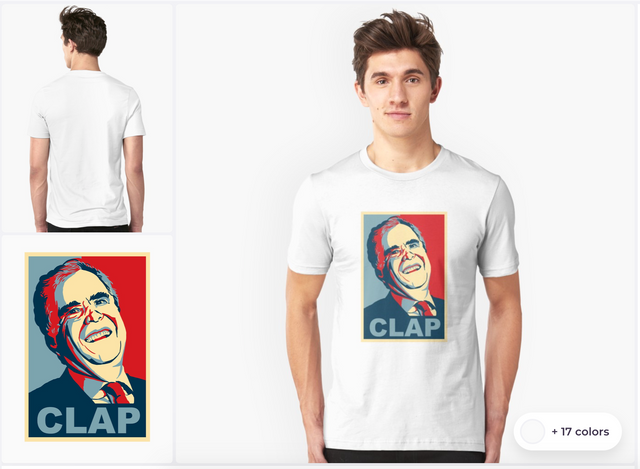 The CLAP part of the design comes form the "Please Clap" meme which is a meme based on an incident when Jeb!, during his presidential primary campaign, literally asked his audience to clap for him. 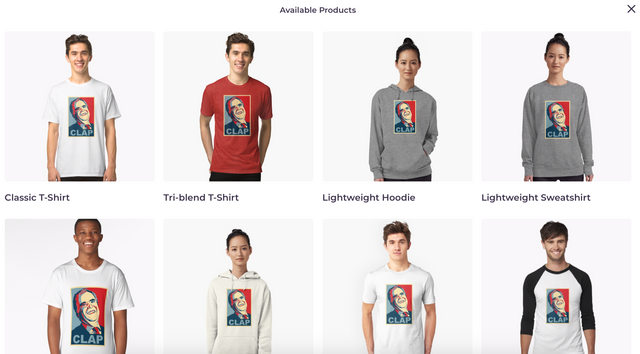 It epitomizes the hilarious lack of enthusiasm that anyone had for Jeb!, which was punctuated by the literal punctuation that was adde to the end of his name by his campaign. I'm going to have a few more designs coming down the road, and hopefully I'll finally hear back from Mearch by Amazon about getting these on their storefront, which would be a massive boon to exposure for these designs. Have you ever sold products based on your designs?